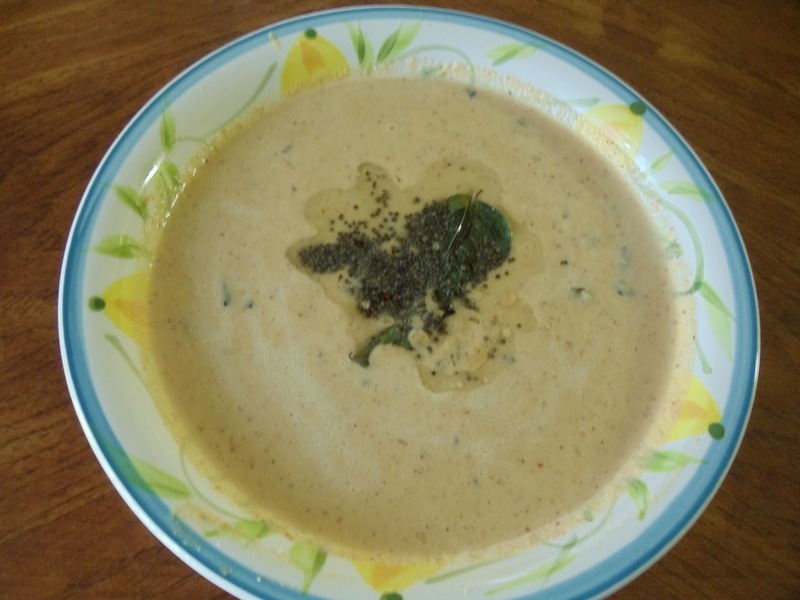 Karathe in konkani means bitter gourd. 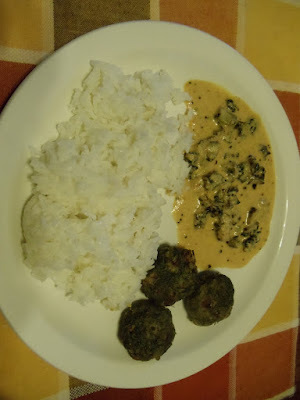 Karathe Sasam is a different recipe and I found it in a cook book written by Jaya V Shenoy. I am not a big fan of bitter gourd (like many of them) but want to try some recipes once in a while to get the goodness of this vegetable. 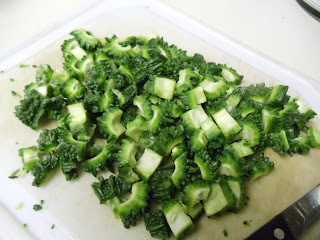 This vegetable is highly beneficial to people having diabetes. It also has many other medicinal uses. Read more about it here . 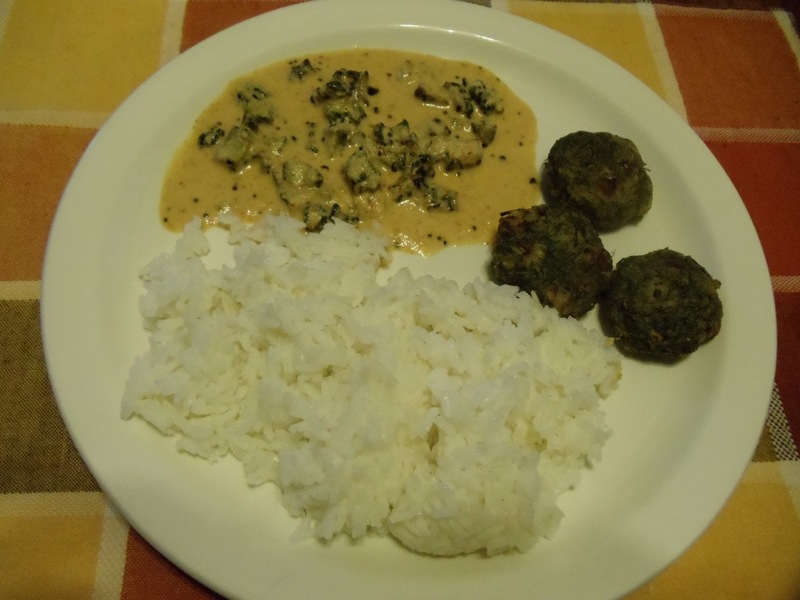 The specialty of this dish is the coconut based masala is raw. Wash bitter gourd and chop it into small pieces (I discarded the seeds). Remove the excess water and fry in little oil on a medium heat for 15-20 minutes (or until it changes color and turns little crisp). Allow it to cool. For the Masala: Fry 1/2 tsp of mustard seeds in very little oil. Allow it to cool. Grind grated coconut, roasted red chillies, tamarind along with roasted mustard seeds and asafoetida to get a smooth paste. Add water as required. Transfer the masala into a serving bowl. Adjust the consistency (I made it medium thick). Now add the fried bitter gourd pieces to the masala. Mix well. For Seasoning- Heat oil and add mustard seeds. Once it starts spluttering add curry leaves and turn off the heat. Add this to the gravy. Mix well. Karathe Sasam is ready!! Serve it with rice. Above measurement serves two people.